Ranveer Singh is currently having the time of his life at the '83 shoot in Dharamshala since the actor is meeting up with his childhood legends such as Kapil Dev and Mohinder Amarnath. The actor who will be playing the role of Kapil Dev in the film has been working hard to get his stance right when it comes to the bowling techniques. 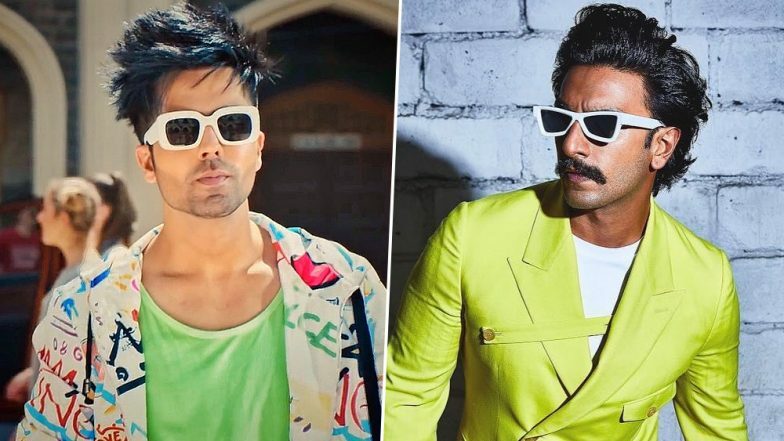 The Kabir Khan film now has its squad in place and actors such as Saqib Saleem, Harrdy Sandhu, Sahil Khattar, Ammy Virk have been roped in for crucial roles. While the team is currently in Dharamshala for their practice sessions, it seems like their schedule is not all work and no play after all. Last night, Ranveer and the boys were spotted at a local restaurant in Dharamshala where they had a fun time singing and dancing. In one of the videos that have been shared on Internet, Ranveer is seen getting back into his Gully Boy zone as the actor raps 'Asli Hip Hop' along with popular Punjabi singer, Harrdy Sandhu. A few videos from their fun evening were shared by actor Sahil Khattar on his Instagram story. After Kapil Dev, 'Jimmy' Aka Mohinder Amarnath Joins Ranveer Singh's '83 Team in Dharamshala - View Pics. It looked like the boys had a gala time after celebrating their Saqib Saleem's birthday on the sets of the film. '83 is one of the most anticipated projects considering its topic. The film will recreate the Indian Cricket team led by Kapil Dev and their iconic win against West Indies at the 1983 World Cup. Ranveer Singh Starrer '83 Shoot Finally Begins and THIS Picture Shows Exactly How Happy the Cast Is! After wrapping up their Dharamshala schedule, the team will be heading to London next. The Kabir Khan film is expected to release next year.